(May 2, 2017) Friends of legendary Temptations lead and “Don’t Look Any Further” hitmaker Dennis Edwards are calling for prayers for the 74 year old singer, who is currently ailing from an undisclosed illness. Edwards’ immediately recognizable voice and personal charm have made him one of the most revered singers of our time. The Alabama-born Edwards moved to the Motor City with his family as a youngster, and had brief stints as a young man in Hall of Fame acts The Mighty Clouds of Joy and The Contours. And just when Edwards was about to pursue a solo career in 1968, David Ruffin was “fired” from the Temptations, and the Motown brass chose Edwards to take the group forward as the lead singer. Edwards remained with the group for nine years, parting ways when the Temptations split from Motown for an unsuccessful two album fling with Atlantic. But he returned, along with the group, for the Berry Gordy-produced Power album in 1980, a triumphant album that brought the Tempts back to the forefront. He left again in 1984, and immediately scored with his pop and soul smash “Don’t Look Any Further,” featuring a young Siedah Garrett. Three years later, as his solo career cooled, Edwards returned to the Temptations one last time for a two year stay. For the last quarter century, Edwards has led his own group, The Temptations Revue feat. 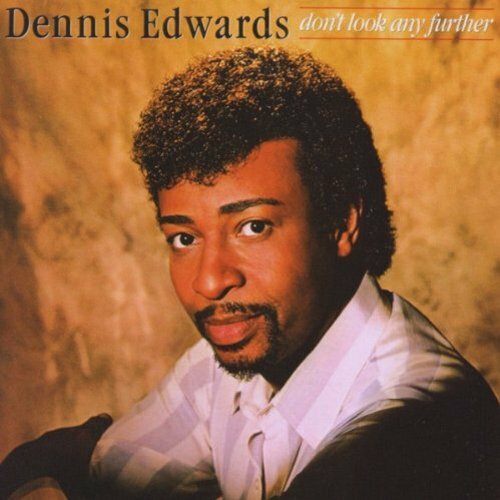 Dennis Edwards, and has successfully recorded and toured the world several times over. He and his version of the Temptin’ Tempts have remained in heavy demand to this day. We are praying for a quick and full healing for the talented Mr. Edwards, and will keep SoulTrackers updated as we know more.